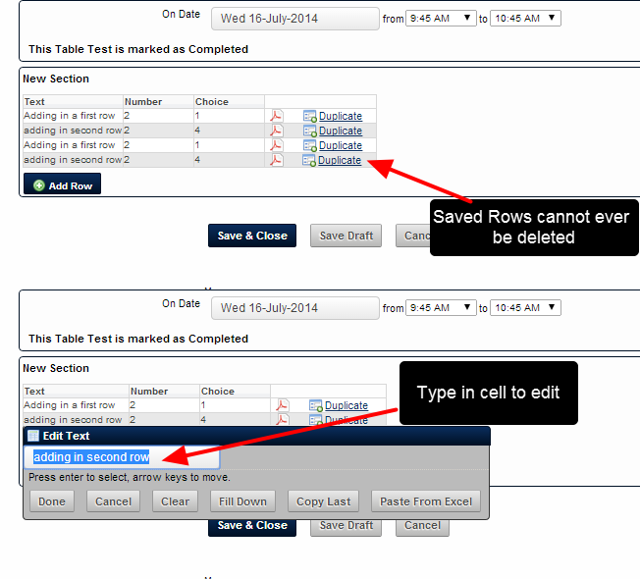 Blank or completed table rows in a new Event Form (NOT a saved Event Form) can be deleted. 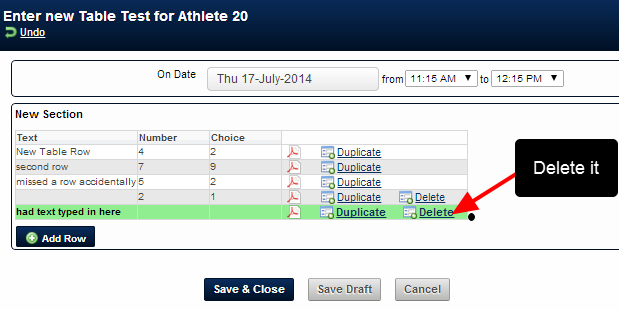 Any blank or existing row can be deleted. You can see that the additional rows have been removed.